In Part 1 of this article, we covered the content over-optimization signs related to keywords. And while keywords are a major measure of whether or not a site has been over-optimized, it is (unfortunately) not the only kind of sign you should look out for. This error can happen especially if you’re building a website for the first time: Including only one type of links in your web content. Perhaps you’ve linked generously to external websites, or perhaps you’ve limited your links to your own site pages. Now, while there is nothing wrong with these kinds of links, it can alert search engines to over-optimization patterns if you only have one kind of links within your website. Luckily, there’s an easy fix for this: Use different kinds of links: internal links, external links, social media links, etc. Many times, webmasters create a lot of links within their content that will lead directly back to that website’s home page – or to certain navigational pages like the website’s contact page, about us page, etc. If one or two links in the website or blog’s content pages do this, then it’s harmless. However, the webmaster’s focus should be on linking content to external social media sites or websites, and especially linking the web content to related internal pages within the website. After all, these internal pages are what should be found; the navigational pages and home pages of the website are rather easy to find anyway. Plus, using too many links that just link to the website or blog’s home page or main external or navigation pages will simply alert search engines to over-optimization, which can really lower your site’s search rankings. Contact SEO Freelancer Mumbai For Backlinks/Off Page SEO @+91-8451924760 or yogesh@seofreelancermumbai.in Now! 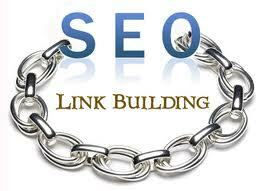 Link building is one of the most important aspects of SEO. It boosts your website traffic and also enhances your online reputation in a credible manner. Google loves it and rewards you generously when it comes to ranking. But the trick to mastering this aspect lies in being professional. This is to say that you cannot only depend on black hat techniques. Search engines will penalize you heavily. So, be professional and resort to white techniques as they bring good quality back links that will benefit your site profusely in the short run as well as long run. And what are those white hat techniques for professional SEO link building? Here is the answer. Good content is cherished by readers, search engines as well as rival sites. If you focus on infusing your content with infographics, data, creative inputs and insightful details then you are bound to get links from other sites and blogs. So, research well, express ideas in a lucid style and present your content in an attractive manner with appropriate visuals. Merely having good content is not enough. You have to make sure that the experts from your field give it a thumbs up. And for this, you need to share your content with them. Follow them on social networks, comment on their blog posts and if it is possible, you can also ask them to do guest blogging and vice versa. Your content will get best publicity if you make provision for readers to link back to your posts. This is easily possible with social sharing buttons that you can embed at the end or starting of your posts. Try to engage your readers into discussions and they will feel more inclined to mention you on other sites and social networks. Contact SEO Freelancer Mumbai For Professional Link Building Services at +91-8451924760 or yogesh@seofreelancermumbai.in Now!